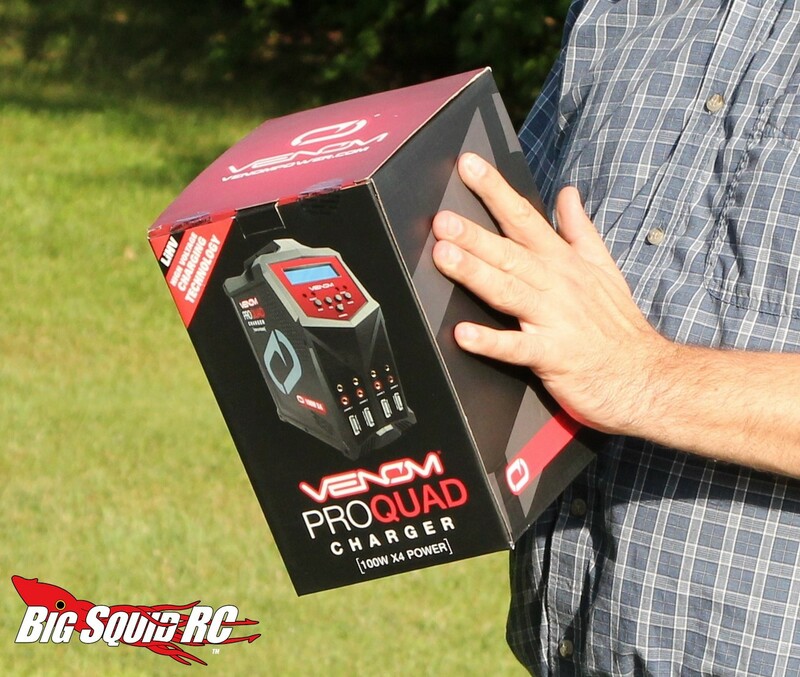 Venom Pro Quad Charger Review « Big Squid RC – RC Car and Truck News, Reviews, Videos, and More! 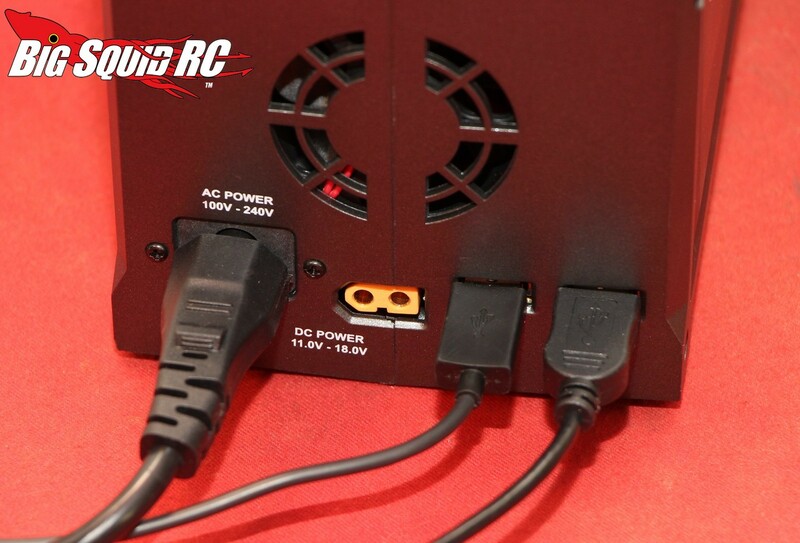 Primary Competition: Other 4 port chargers like the Hitec X4 & H4, the Dynamite Prophet Sport Quad, etc. What’s In The Box: You’ll get the charger, 4 balance boards, the AC cord, the DC cord, and a bunch of charge leads like EC3, EC5, JST, a receiver plug, a set of alligator clips, Deans, XT60, and Tamiya. Build Quality: We couldn’t find anything wrong with the build quality on the Venom. The wiring looked well done and the charger looked well put together. Testers: Iron Mikeee, T-Mohr, and yours truly. Set-up Notes: We used the charger off of both AC and DC power. We charged a ton of different packs from small 1/18th scale NiMHs to large 6S LiPos. 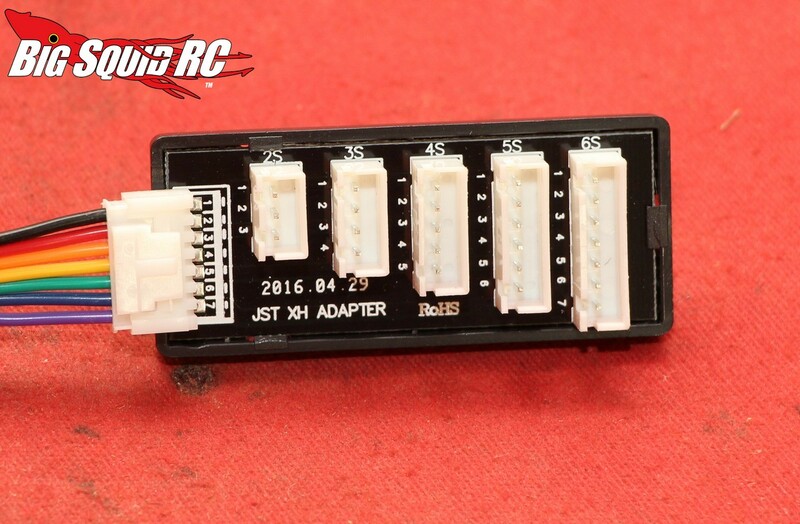 We mostly used the included charge cords, but also soldered up some new ones with Traxxas connectors. 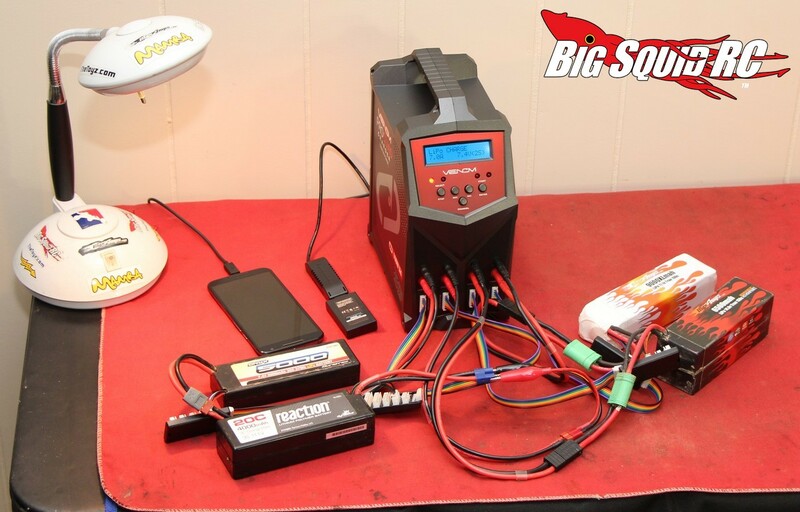 Ease of Use: Here is the true test of a new charger- can someone that has never used it before charge a pack and program it, without having to crack open the manual. We are pleased to say that none of our testers had to use the manual to get a pack charging on the Venom. It uses Hitec style menus that were easy to navigate and to learn. Yes, if you can operate a cell phone or computer you can use/program the Pro Quad. It does not use any high tech interfaces like a touch screen or remote operation via a cell phone app, but it is plenty easy to use via the buttons on its face. Power: No, 7 amps isn’t “crazy” power, but it is a typical amount for the types of batteries that most bashers use. A 7 amp charge rate will allow you charge a 7,000 mAh pack at 1C, or a 3500 at 2C. 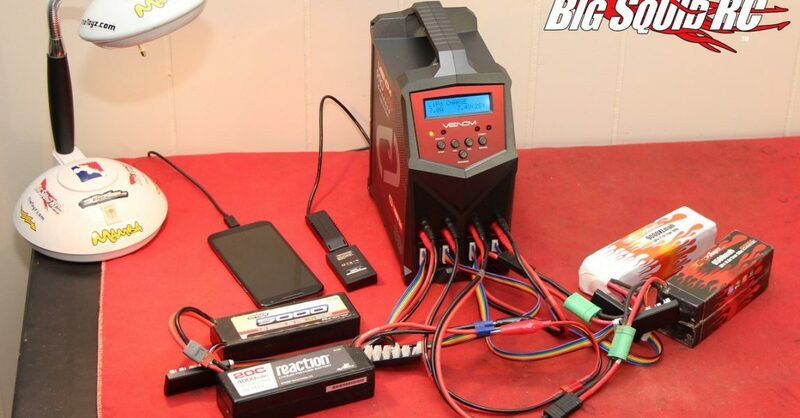 Most bashers run around 5-6,000 mAh packs now days, and most charge at 1C, so the Pro Quad will have plenty of power for a “typical” application. On the Track: We charged up a bunch of packs on the Venom then had our test crew drive them to see how powerful they felt out on the track. We then charged the same packs again on a different charger (an iCharger 308) and had them drive around the track again. 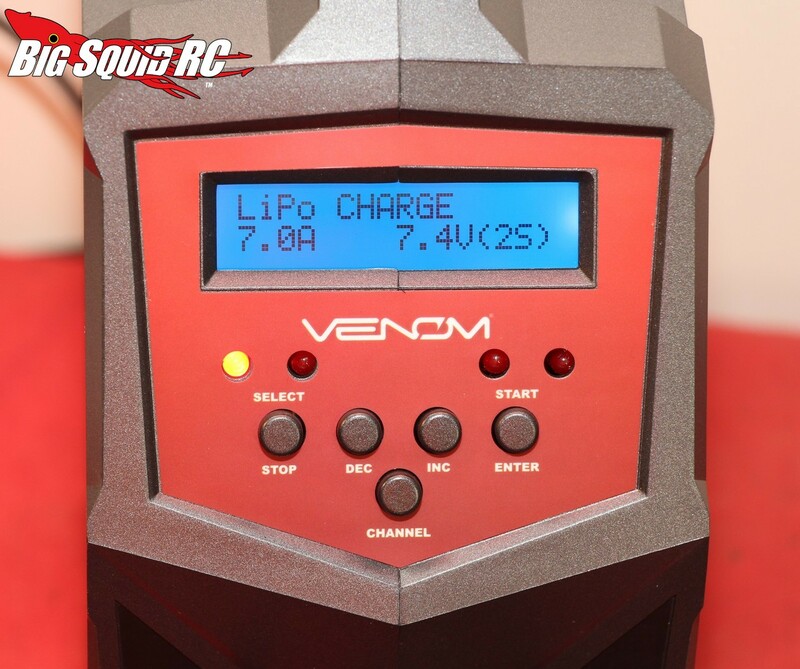 Finally we charged the packs yet again on the Venom Pro Quad. 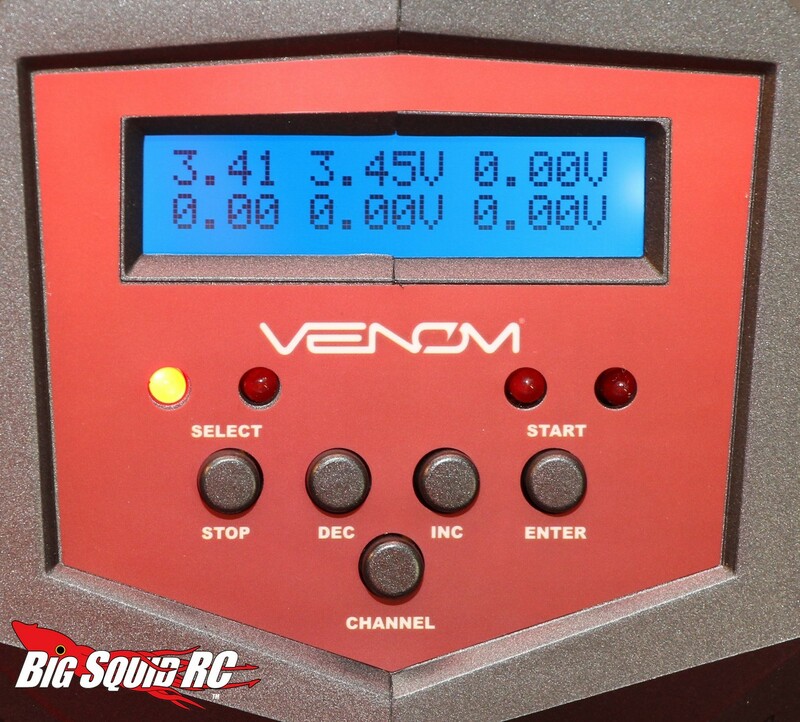 We did this to see if our test drivers could tell a difference between the quality of charge between the Venom and what is considered to an extremely high end unit, the iCharger 308. And no, none of the test drivers knew which charger had been used prior to driving all the packs. What did we find out? None of our testers could feel a difference between packs that were charged on the Venom vs the iCharger. Our testers felt that the Venom gave all the packs a good quality charge that had plenty of power on tap. To boil it down, when driving packs that were charged with the Venom on the track, they felt like they ripped hard. 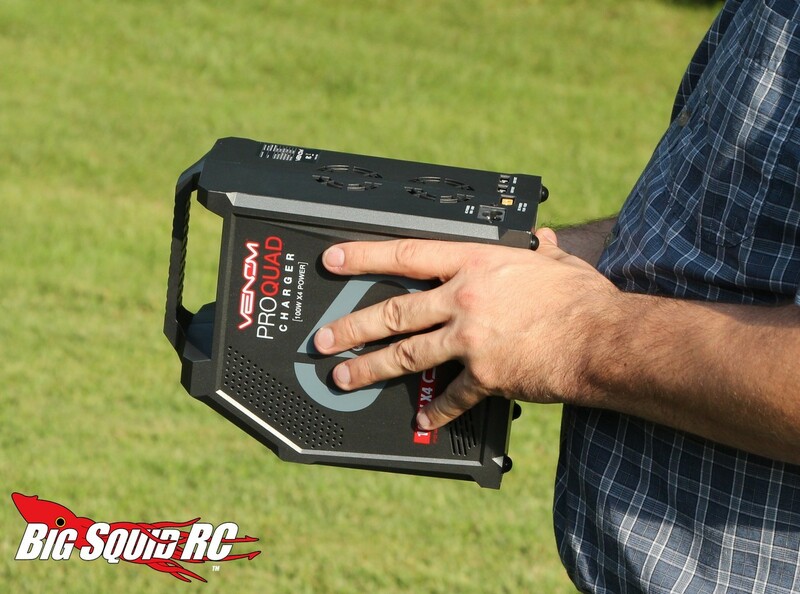 Oh yes, four glorious channels of charging, that is what the Pro Quad brings to the plate. Often times when we go out to work on reviews, we take a dozen different cars with us and have a half a dozen drivers. Normally keeping enough packs charged is a huge pain, requiring a bunch of different chargers. The Venom Pro Quad did a great job of keep up with our test crew. We were big fans of the small footprint Venom. 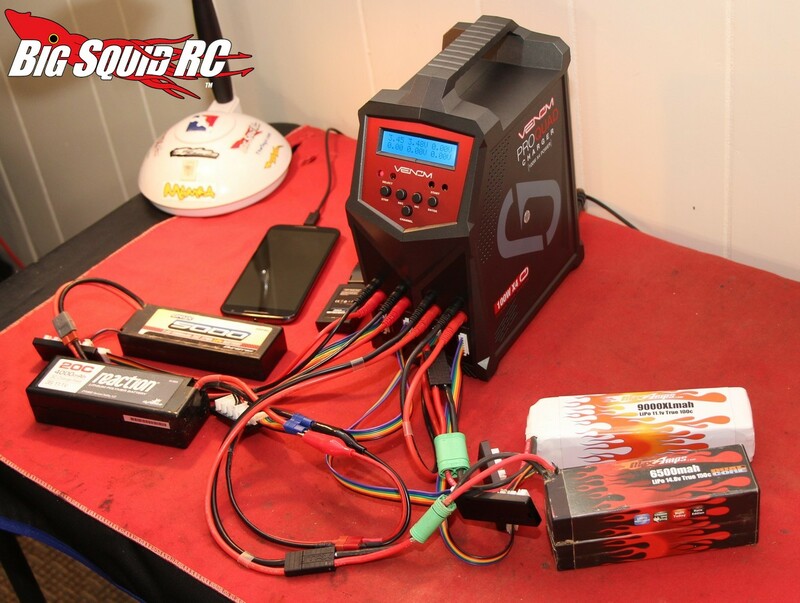 The Pro Quad takes up very little space on your pit table, or under the hood of your 1:1 rig. The two USB outputs came in super handy. We can never have enough USB empty ports around for cell phone or quadcopter charging, the Venom had two which we always put to use. However, we would rather have seen them placed on the front of the unit, instead of the back. No, it isn’t much of a hassle to plug a USB into the back, but it would have been much easier if they were up front. Have you heard about all those new LiHV packs that are taking over the market? Yes, the Venom can charge those too. We found the display to be easy to read, indoors or out. It gives all the important info that you need and was large enough that even us old timers could see it clearly. The Venom uses 4 bright red LEDs to indicate which ports are currently in use. In our opinion, the LEDs were too bright, you definitely don’t want to look right at them. The extra brightness comes in handy outdoors, but can be irritating when looked at in the tight confines of an indoor pit spot. While the Venom comes with a bunch of different charge leads, it doesn’t include an ever popular Traxxas plug. Time To Bash: B The Venom comes with a wide variety of connectors and was easy to get up and going. Car Show Rating: A “Tower Style” chargers are the new cool, we thought the Venom was exceptionally stylish. Bash-A-Bility: A We don’t know why it is, but Iron Mikeee just feels the need to break everything. Imagine his disappointment when after dropping the Venom to concrete twice, it still wasn’t busted. Power: C While 7 amps per channel is no slouch, it isn’t exceptional either. Value: B At $229 for a 4 channel charger we thought the Venom was an above average value. 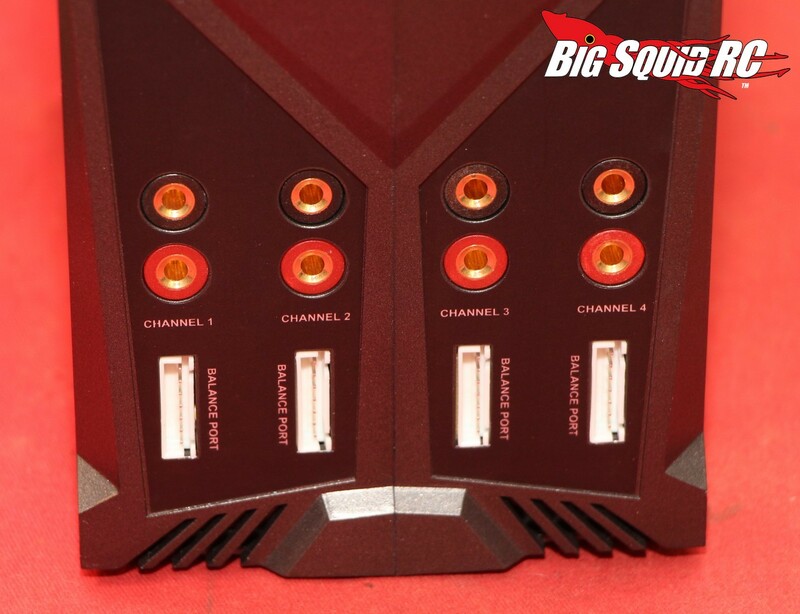 BigSquid Rating: B+ The Venom Pro Quad is a solid charger. We found it easy to use and it did a fantastic job with keeping up with our numerous charging duties. If you find yourself charging tons of packs on the weekend we can definitely recommend the Venom to you.